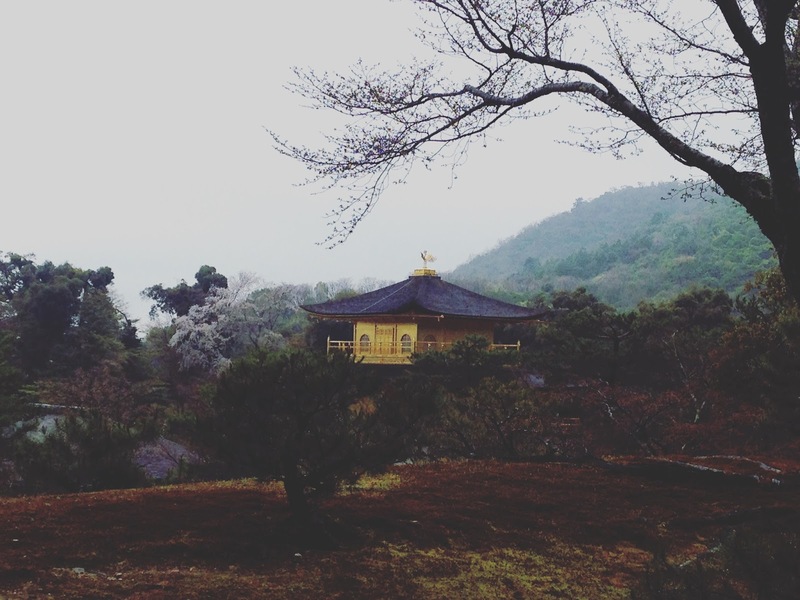 We left the guest house at about 8.30am in the morning in order to head out to Kinkaku-ji, otherwise known as the Golden Pavilion. We had tried to visit the temple on our first day in Kyoto but due to us missing our train had run out of time. I was a bit nervous about heading to the temple because it would involve our first trip on a bus. I don’t really like using buses in areas I don’t know, especially if they’re non English speaking. However the trip really couldn’t have been easier. From the Kitaoji metro station we were able to catch a clear signposted bus to the temple, which stopped basically outside. As for paying we just swiped our pasmo cards. 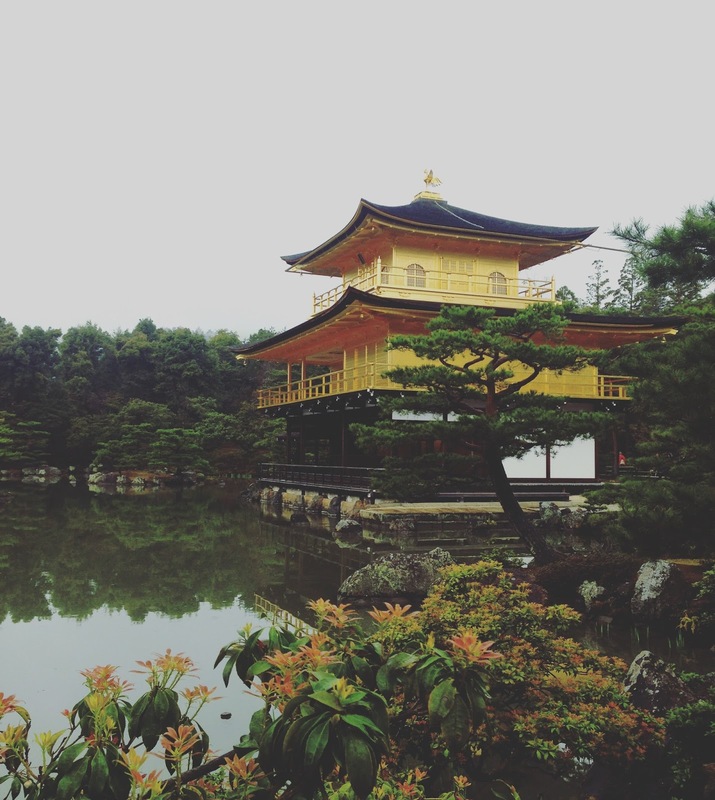 Kinkaku-ji is a temple known for being covered with pure gold leaf and sits in a beautiful Japanese garden. It was once a retirement villa for a powerful statesmen which was changed into a temple upon his death. 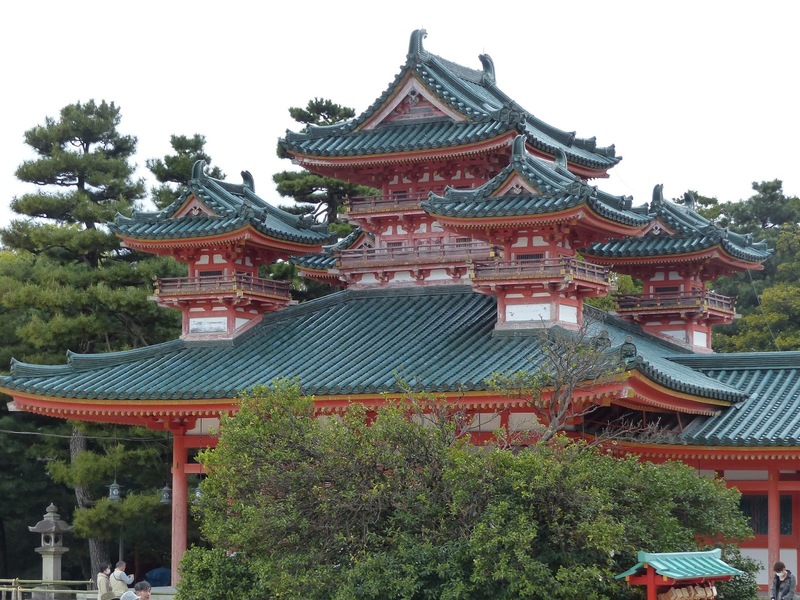 It is one of the most popular temples in Kyoto but I could be a bit controversial here, I didn’t think it was particuarly magnificant. Maybe because of the overcast day I didn’t get the full effect of the gleaming gold but I wasn’t that fussed. It was very busy as there was a lot of tour groups around too. I did enjoy the gardens but there was a bit of a set route to take around so once again, it was a tad too busy to fully enjoy. 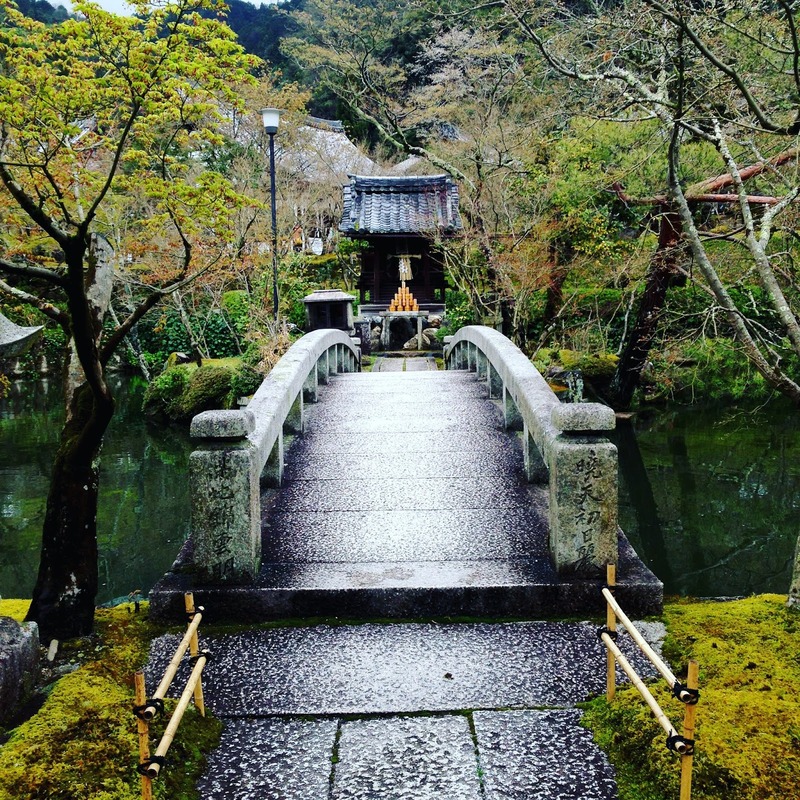 Our next stop was Nanzen-ji temple, a zen temple and is a very important temple in Zen Buddhism. 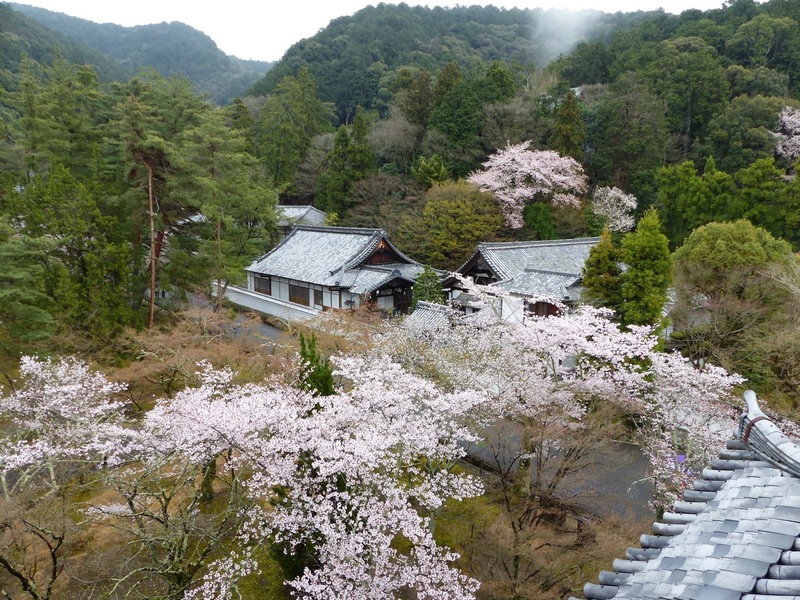 We paid 500Y to climb Sanmon, the temples gate. 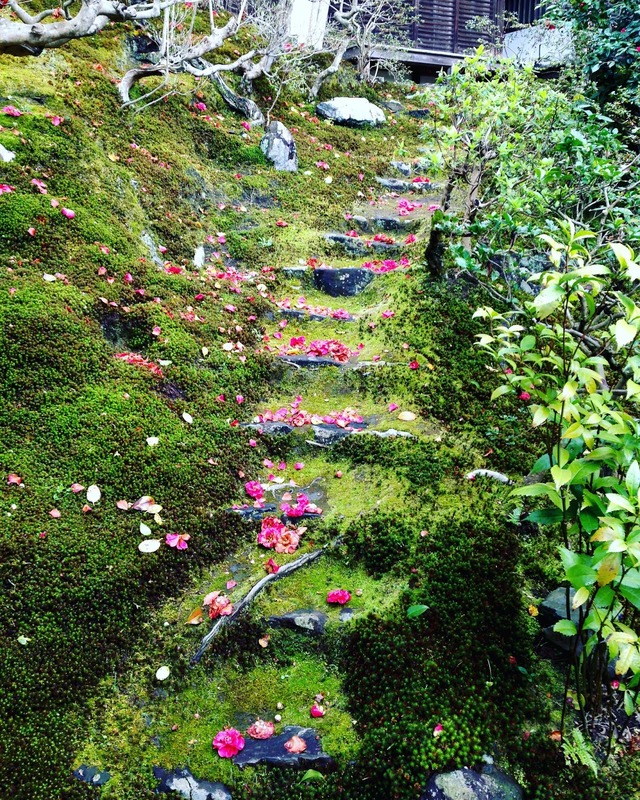 The staircase was rather steep but from the gate we were rewarded with some beautiful views of the area, including wonderful views of the gardens full of cherry blossom. We then paid another 500Y to enter the Hojo, the main quarters of the temple. I always enjoy seeing the gold leaf walls popular in these places, the walls in this temple featured a lot of tigers. I found the tigers were more realistic than many animals I’d seen previously on the walls. 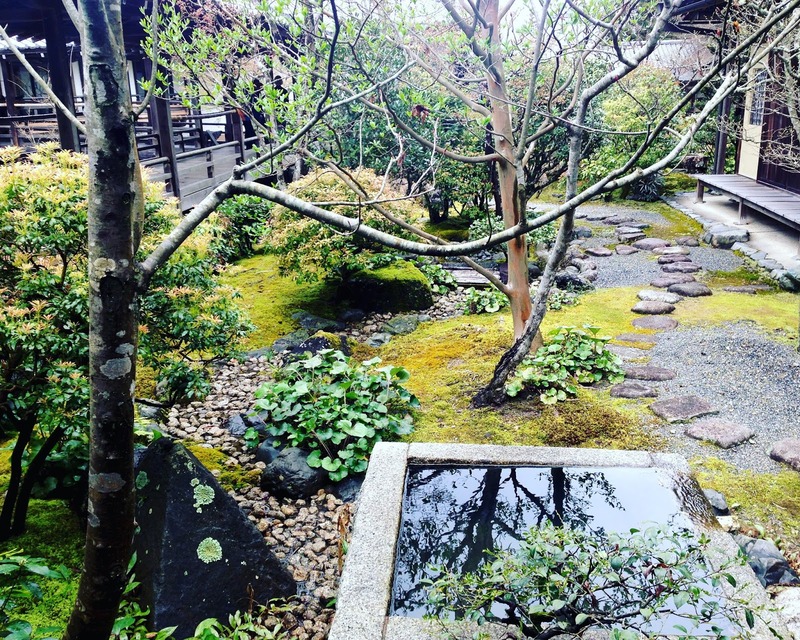 We were also able to enjoy some courtyards featuring lovely rock gardens. 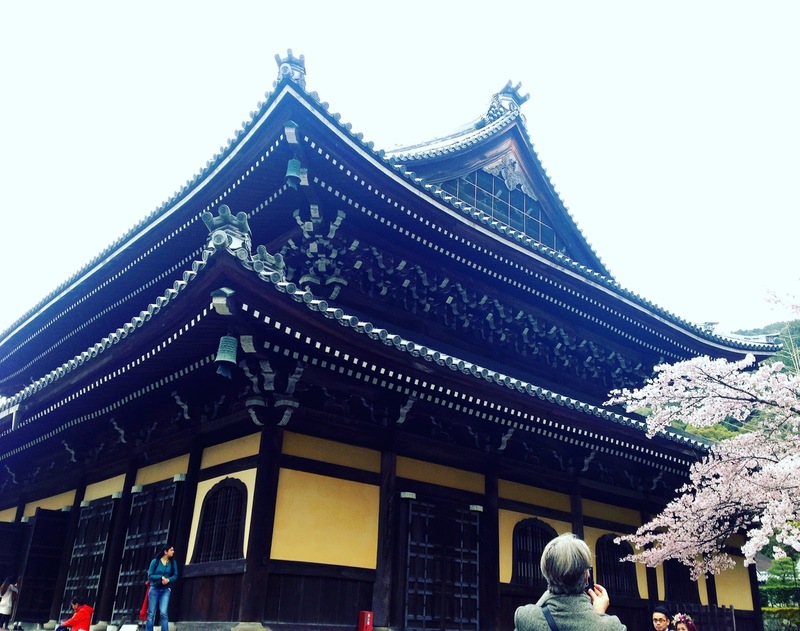 Right next door was the Eikan-do Zenrin-ji temple. This was actually one of my favourite temples. We paid 600Y entry but it was incredibly quiet. There was only one other person we spotted in the whole temple. 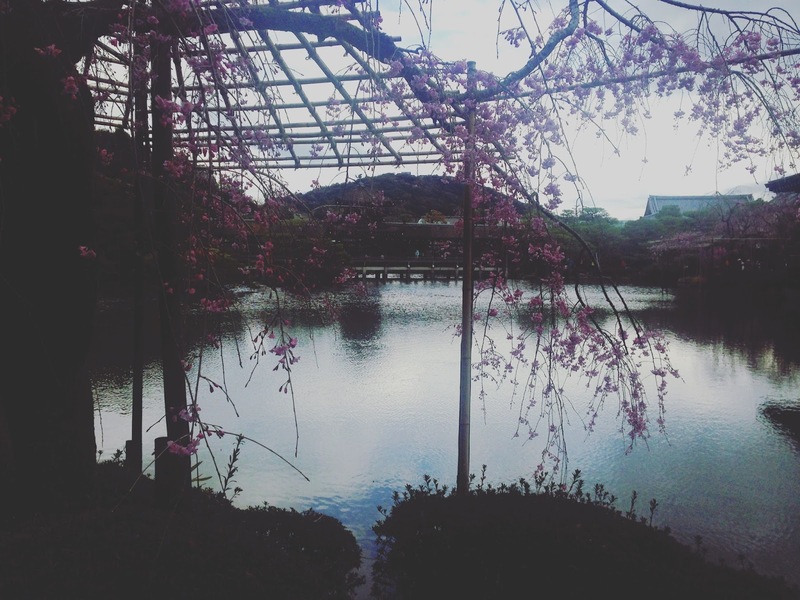 It had some really pretty gardens and ponds and it was nice to have a moment to sit down and enjoy it. It also had some pretty fancy toilets, the best I’d seen at any temple haha! 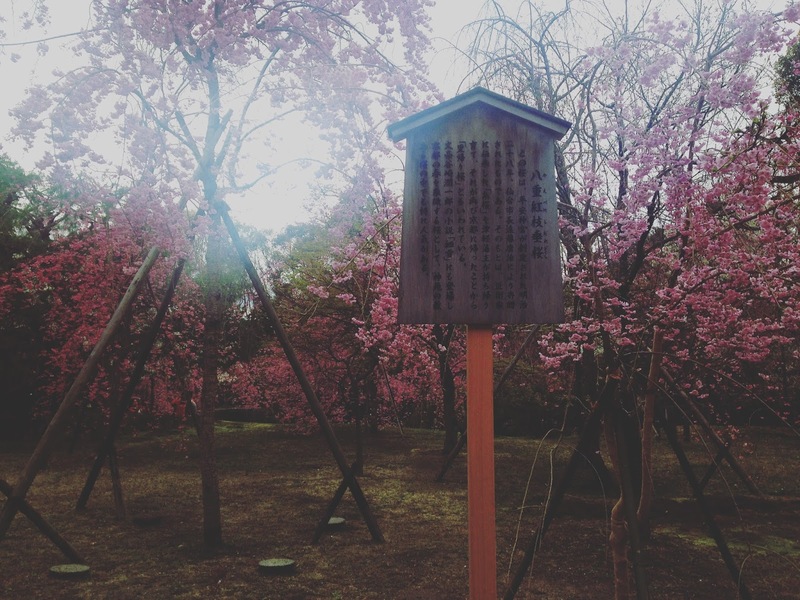 We walked along the path of philosophy, which is a path alongside a cherry lined canal. It’s a beautiful path, albiet busy. 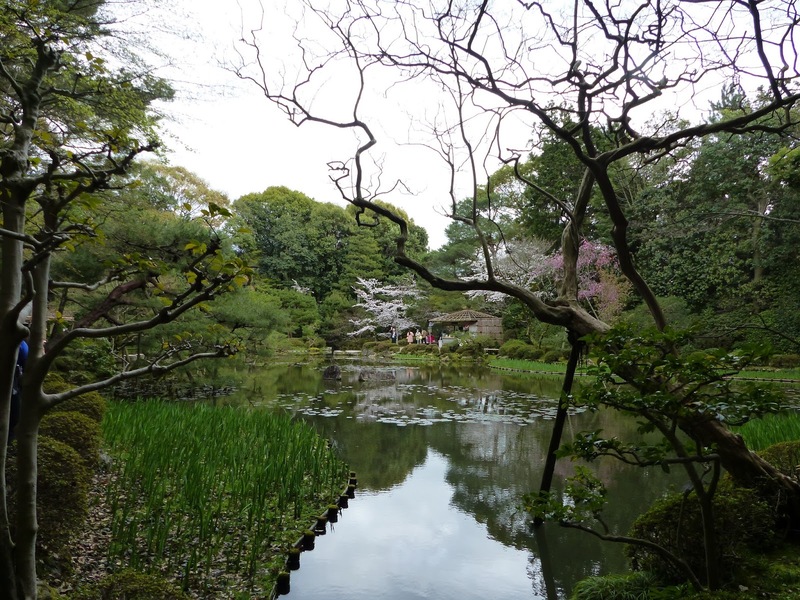 It was a favourite walk of a famous Japanese philosopher for his daily medidation. 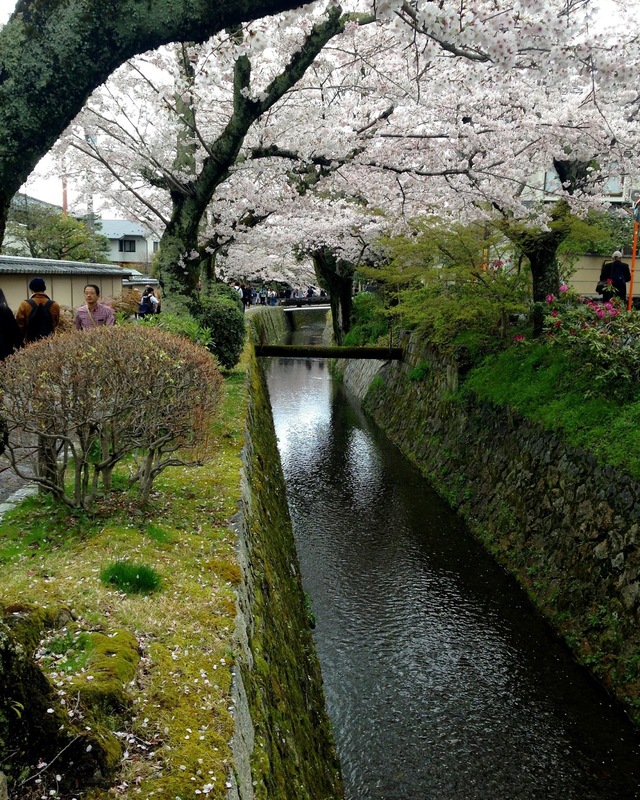 The cherry blossom was very picturesque and as a consequence the various bridges were rammed with tourists trying to get their shots. People warned me about getting ‘templed out’ in Japan and I didn’t get that at all but I did get a bit ‘blossomed out’ and it was quite nice at this point to not be so bothered! Whilst you walk down the path you will encounter various temples. 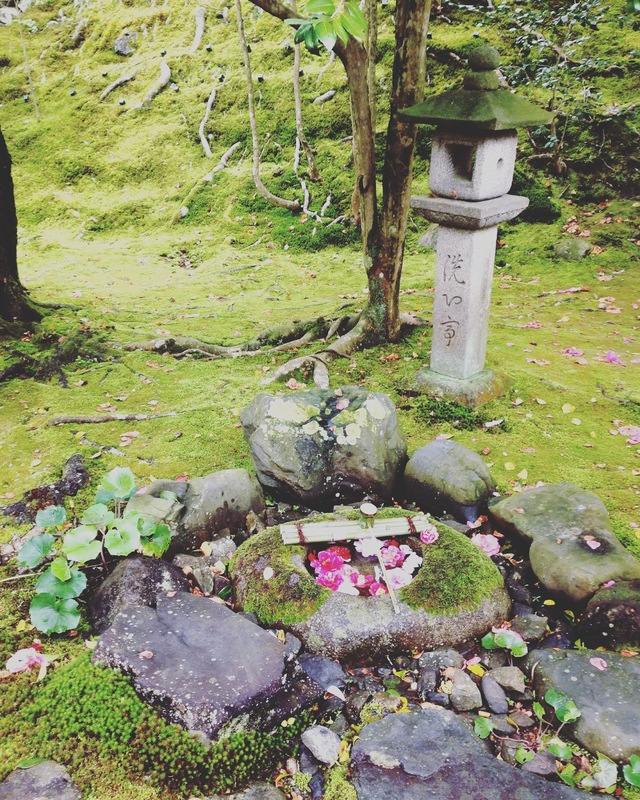 We stopped at the Otoyo-Jinja shrine which was an adorable place which has mice guardians. 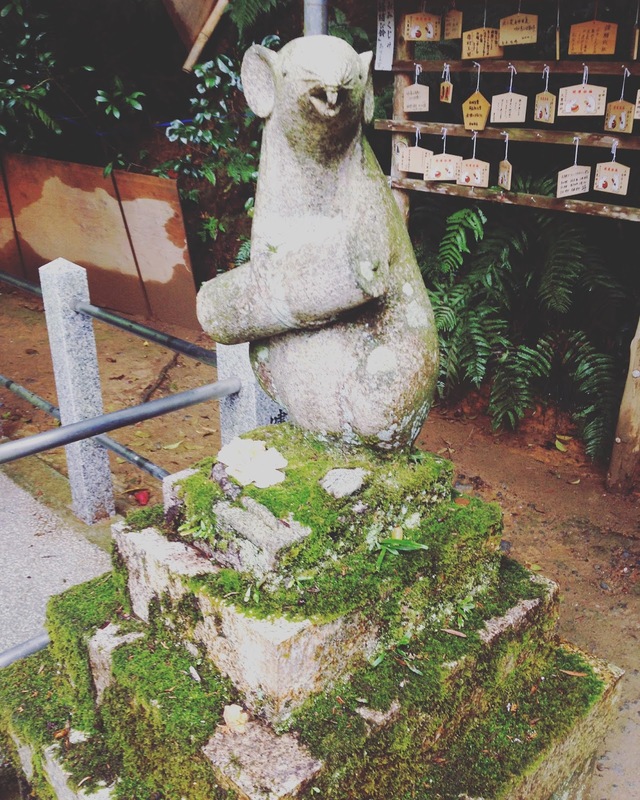 They also had a bird guardian and a monkey guardian, all represented by statues. I just liked how quaint it all was. There was no entry charge. 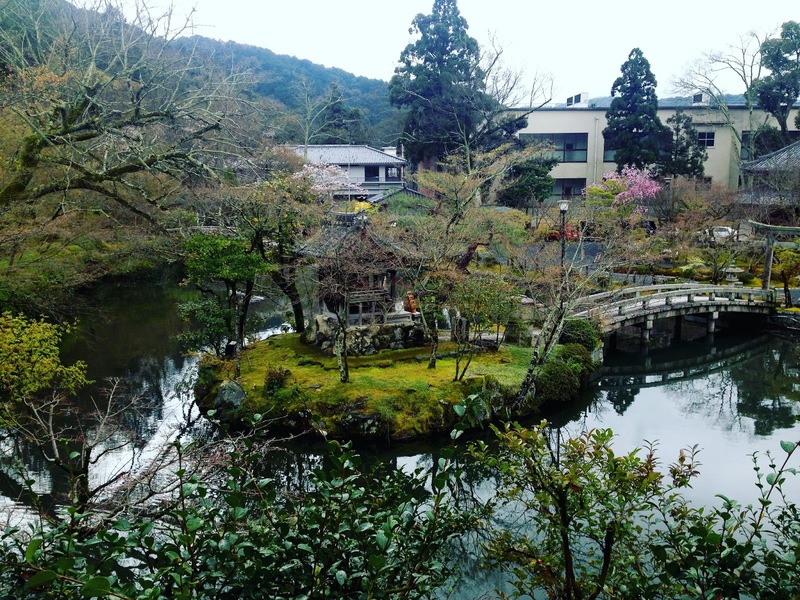 We then went to Reikan-ji, a temple with a 600Y fee. This is only open for two brief periods in the year so as we were lucky enough to visit during an open time I felt it was essential to visit! 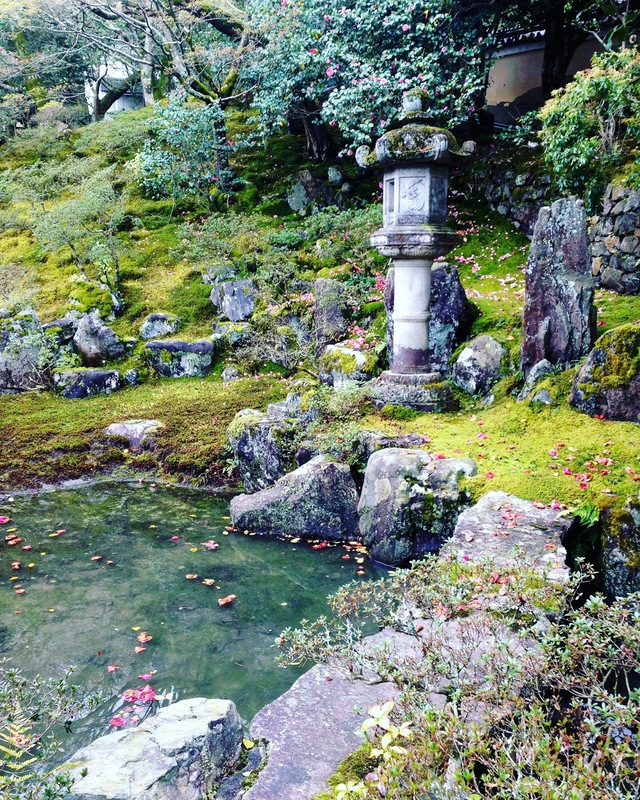 It had lots of beautiful camellia flowers everywhere and moss, something I’d developed a major love for during my time in Japan. By this point we got really tired and pretty hungry. Our busy itinerary was catching up with us a bit. We wandered off the path and found ourselves outside a Japanese supermarket. This was the first time we had encountered a proper supermarket, not just a convenience store. Adam and I have this weird love of walking around foreign supermarkets so indulged ourselves and grabbed loads of bits which we ate outside at the bus stop. We decided to use our last burst of energy to visit the Heian shrine, a rather grand shrine built to commemorate the 1100th anniversary of the capitals foundations in Kyoto. 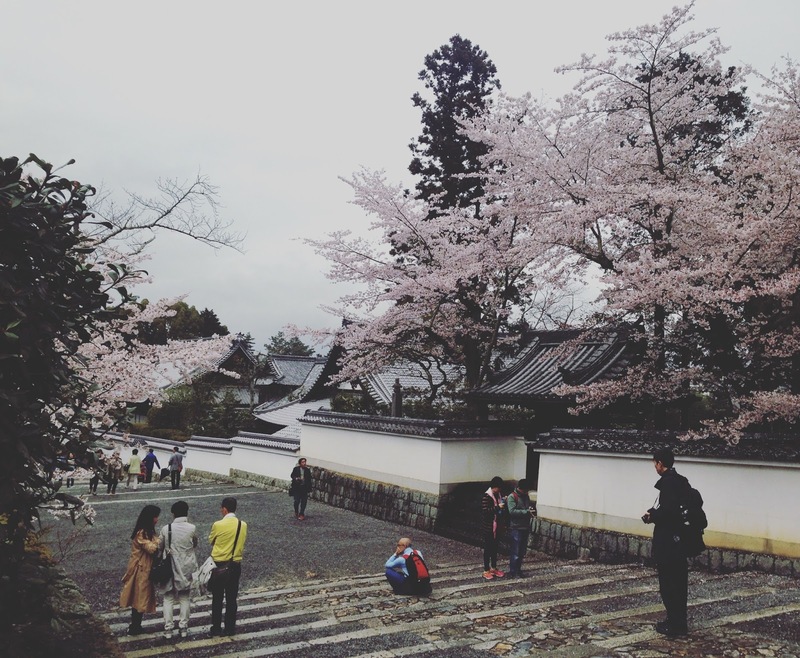 There was a lovely wide courtyard in the centre of the shrine and behind the main building a really large garden to stroll around full of beautiful trees, large ponds and cute little buildings. By this point we were absolutely exhausted. We spent our last evening in Kyoto at our guest house, munching snacks from the local store and reflecting on our past few days. 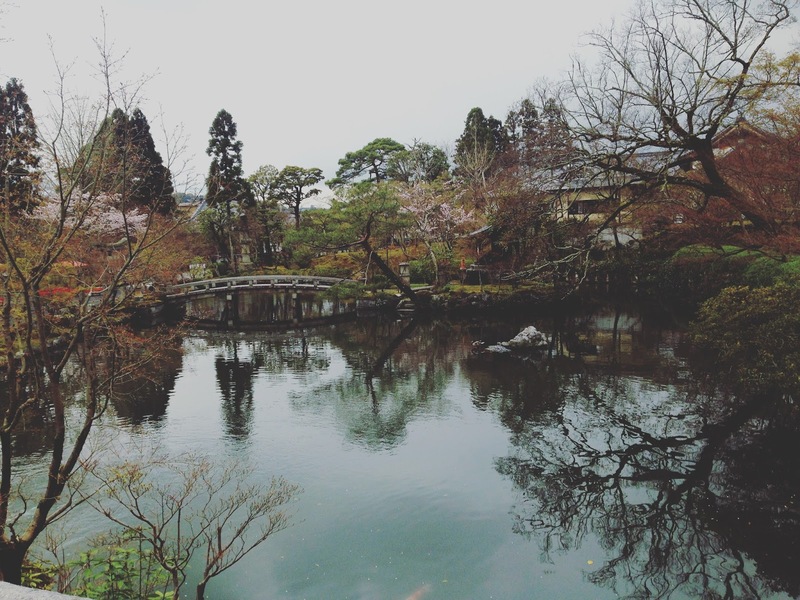 I liked Kyoto and I’m so glad we made it part of our itinerary but I also felt that we’d ‘done’ it now and I don’t think we’ll revisit it on our next trip.